Youll find this apartment in the heart of Ryde, once the Islands capital town; which is perfectly placed for mainland commuter links. Offering the very best of both worlds, this penthouse apartment offers an impressive roof terrace with stunning views, allocated parking and is chain free. Wow! A Stunning 3 bedroom home on the island south coast with beautiful uninterrupted views of the English channel. Immaculate presentation throughout with a unique and stunningly designed Kitchen/Diner plus plenty of living space, making great use of the view. Plenty of off road parking plus an additional garage for any prized vehicles, whilst there is also a large rear garden. AGENT'S COMMENTS Stunning, uninterrupted sea views across the English Channel on the outskirts of the Victorian seaside town of Ventnor. Ideally placed for exploring and making the most of what the islands south coast has to offer, this property is close to local favourites Steephill Cove and St Boniface downs to ensure both lovers of the sea and countrysides needs are catered for. Plenty of Off-road parking with a large driveway. This detached home also provides a separate garage too, ideal for any prized possessions. Getting out the car, the property offers much in the way of kerb appeal and the prominent nature of its position will begin to show the sea views off to its best! Inside you'll find plenty of light, bright and superbly presented living space, again making use of the views. The Kitchen/Diner is a large, sociable and unique hub to the property, great for entertaining friends and family. 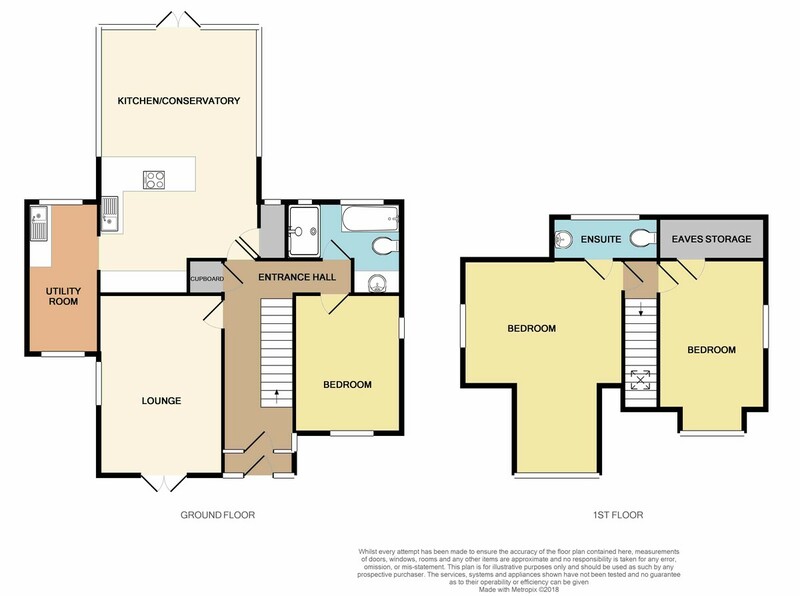 There are two/three bedrooms depending on how you use the property. They are suitably complimented by a beautifully presented family bathroom and an additional W/C. Outside, the rear garden is landscaped and very well maintained. It provides a rural back drop of National Trust land and can be enjoyed in complete privacy too!